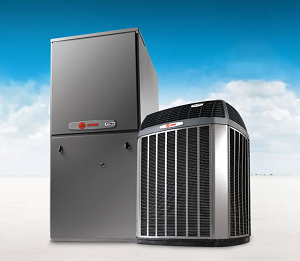 ATEL Air is an authorized Trane dealer. We have been specially trained by Trane on the finer points of ensuring your new Trane is installed correctly. That means you get more efficient performance and longer life. Before earning this certification, ATEL Air was reviewed by Trane to ensure we provide the best in customer care and keep to the highest standards of business practice. From highest efficiency and best comfort control to budget-friendly models that still keep working reliably year after year, there’s a Trane for everyone. Before we recommend a model we do an in-depth assessment of your home and discuss your priorities. You’ll receive a full price quote up front and we’ll give you the time you need to make the right decision. 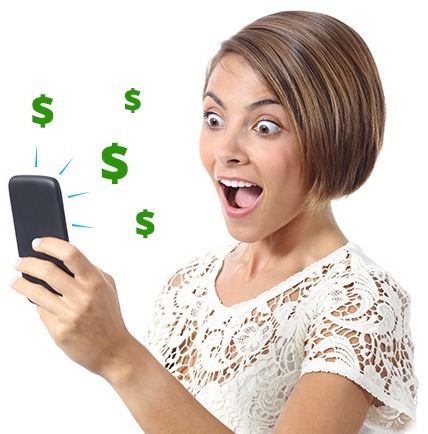 We hate high-pressure sales tactics, so we never try them on our customers. Since 2004 we’ve stopped carrying other brands of central air conditioner and have been recommending Trane exclusively. There’s no conspiracy or payoff behind our decision. Trane (unlike some brands) does not require an exclusive contract because we’re an authorized dealer. It’s just that in our 40+ year experience, Trane air conditioners in all price ranges are simply more reliable. We used to carry several brands, and once had a different “flagship” brand. Then that brand changed their philosophy: they turned our customers’ homes into their testing lab. As new models left the drawing board, they were clearly being sold without having been tested thoroughly. Really basic problems were showing up again and again. Our customers were unhappy, and rightly so. We even had good technicians threaten to quit if we kept carrying that brand. So we stopped carrying all the other brands except the one we knew we could count on: Trane. While many other manufacturers all use the same pool parts, Trane designs, patents and manufactures most of its own main parts. They’re holders of over 1,500 patents. Trane’s engineers maintain a testing lab at a facility in the US. There, the units are exposed to extremes of heat and cold (yes, even Ontario’s kind of cold), and even left to run continuously for years. A week of continuous salt spray ensures excellent corrosion resistance. You can see some of the torture test videos here. Every year, Lifestory Research asks thousands of people their opinion on the brands they use every day. 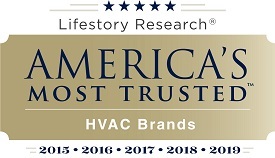 In the last five years, Trane has come at the top of the list for HVAC brands. Winning years: 2015, 2016, 2017, 2018, 2019. Currently, Trane is one of the few manufacturers not being sued for defective air conditioner coils. These coils are made of such thin copper that they experience coolant leaks “far above the industry average” according to this class action lawsuit. Trane air conditioners use thick-walled aluminum coils that don’t leak. Ask us for more examples of how Trane goes above and beyond today’s industry standards. We repair all brands and models, so we have first-hand knowledge about where other manufacturers are cutting corners.